Halloween will be here before you know it and if you’re like me, that means it’s time to start on those Halloween projects. I’m excited to share this project because I think it turned out so cute! 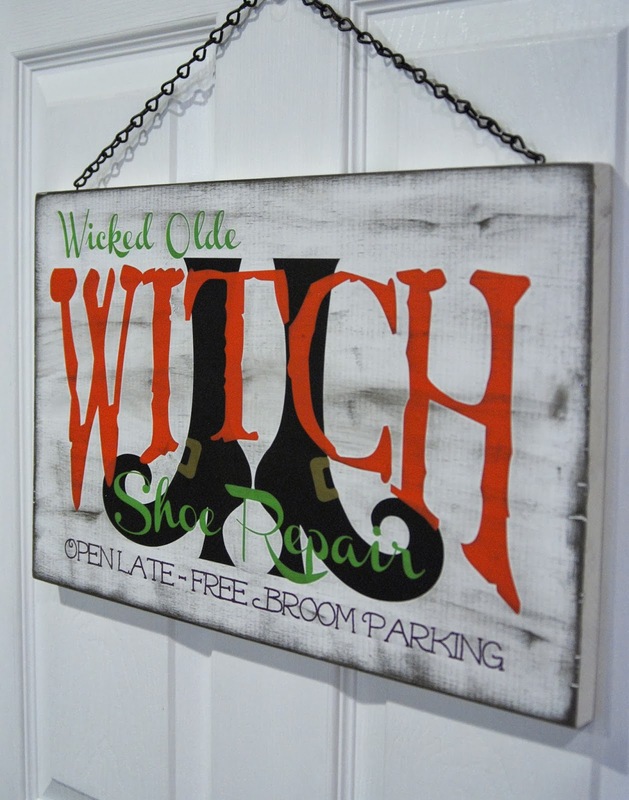 I designed the witch boots a while ago and just loved how they turned out, so I created this cute design to go along with them and created this fun Halloween sign. Start by painting your wood white. While the paint is drying, cut out your 5 colors of vinyl (I sized the design to 16″ x 10.25″), weed away the excess vinyl, and apply the transfer tape. Do you need help cutting this multi-color design? Check out this step by step tutorial for Silhouette Users here and for Circut Users here. You can add registration marks to make layering easier. Below is a picture of each step of the layering process. 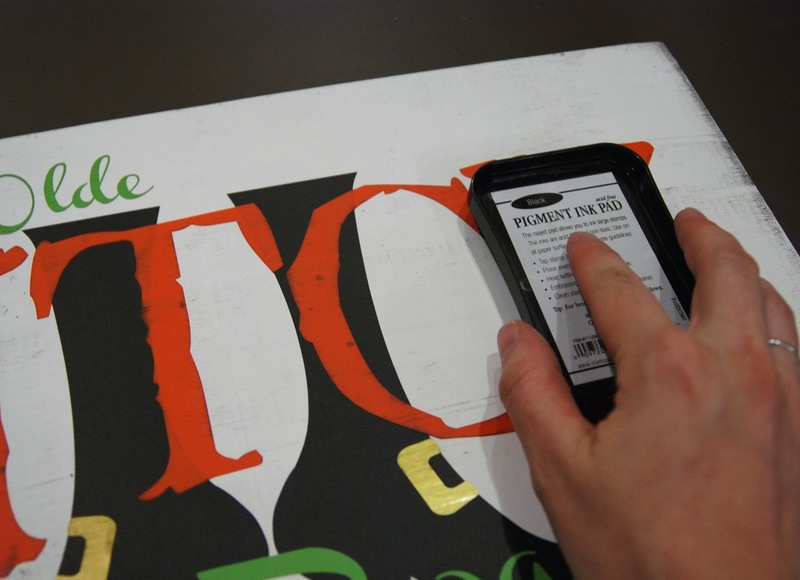 For the full tutorial on how I make multi-color vinyl signs, check out this post. After all the vinyl has been applied, you can distress it. To distress the wood, take a black ink pad and rub it over the top and edges. If you’ve never used an ink pad to distress before, I would suggest practicing on a piece of scrapbook or cardstock. Once you’ve got the feel for the look you want, then apply the ink to your wood. Once you’re happy with your distressing job, take the spray sealer and spray everything with a nice even coat. This will stop the ink from smudging when you touch it. To hang the sign, screw in two screw eye hooks to the top. Use pliers to open the chain link and attach to the hook.